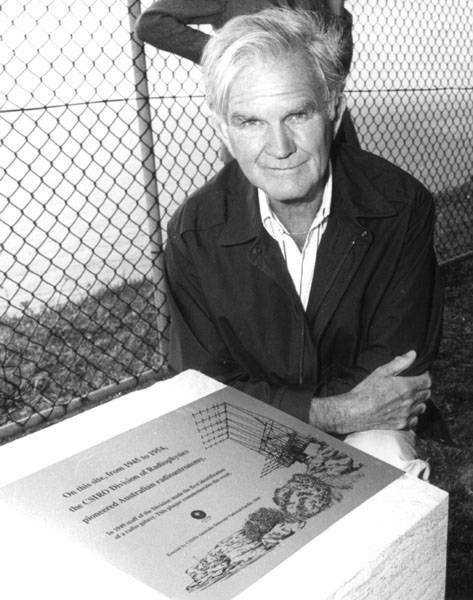 One of the pioneers of Australian radio astronomy, Owen Bruce Slee, has died in Australia aged 92. Once part of a team whose work brought conflict with famous British astronomer Sir Fred Hoyle, Slee had just been honoured by the International Astronomical Union, which named Minor Planet 9391 Slee after him. While not the only person to make that discovery during the war, Slee had no opportunity to learn that others had seen the same interference: it was regarded as top secret. Joining Australia's Commonwealth Scientific and Industrial Research Organisation (CSIRO) in 1946 at the behest of Dr Joe Pawsey (then head of the radio astronomy group), Slee moved to Sydney with his family, and while working as a technical assistant studied radio engineering and physics. As CSIRO details here, Slee also worked with Gordon Stanley and John Bolton to investigate the British discovery, a “radio star” spotted by James Hey. Working with a Yagi antenna set up at the Sydney beachside suburb of Dover Heights, the three were able to demonstrate that the Cygnus signal came from multiple sources: the Crab Nebula, two colliding galaxies, and two individual galaxies. Slee also took part in a project that has a mirror in China's five hundred metre Apeture Spherical Telescope: they dug (by hand) a 22 metre hole in the shape of a dish and lined it with metal strips scavenged from packing cases. With their “sand antenna”, the group identified the temperature contours of the centre of the Milky Way – the first such observation. The Mills Cross telescope (named after Bernard Mills, the CSIRO engineer who led the project) catalogued more than 2,000 radio sources, inadvertently dragging the group into a controversy with one of the giants of astronomy, Fred Hoyle at Cambridge. “[Hoyle] was worried about the results of counting sources catalogued in the 2C survey”, because the results disagreed with an English survey that supported the steady-state model. The Australians stuck with their results because “somewhere the Cambridge group must have gone wrong”. It would be a mistake to treat this as a pinnacle of Slee's career, however. He went on to work with most of Australia's important instruments: the Parkes Radio Telescope, the Culgoora Circular Array, and the Australia Telescope Compact Array.